Augusto Giacoman advises companies on people and organizational issues for Strategy&, PwC’s strategy consulting business. 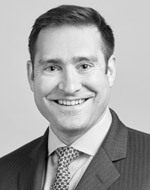 He is a director with PwC US, based in New York. In companies with analytical cultures, employees are prone to rejecting change initiatives as “too squishy.” Tweaking the action plan can lead to success. Managers who are not afraid to show their weaknesses can build trust and engagement. Practicing mindful followership lets people build up crucial skills that help them run organizations effectively. There’s a hard-headed business case for expressing concern about employees’ well-being. By planning activities that encourage bonding and meaning, companies can help employees feel like they are a part of a team. Before embarking on transformations, executives must establish trust with employees. Following this three-step process will help.